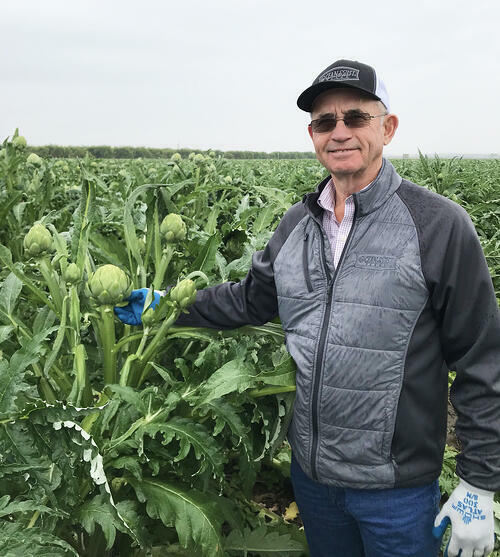 Touring artichoke fields with Dale Huss, VP of Artichoke Production for Ocean Mist Farms, aka The Artichoke Whisperer, is a breath of fresh air in more ways than one. To hear his passion, conviction and depth of knowledge about artichokes is a jolt of artichoke-infused caffeine for this artichoke marketer. 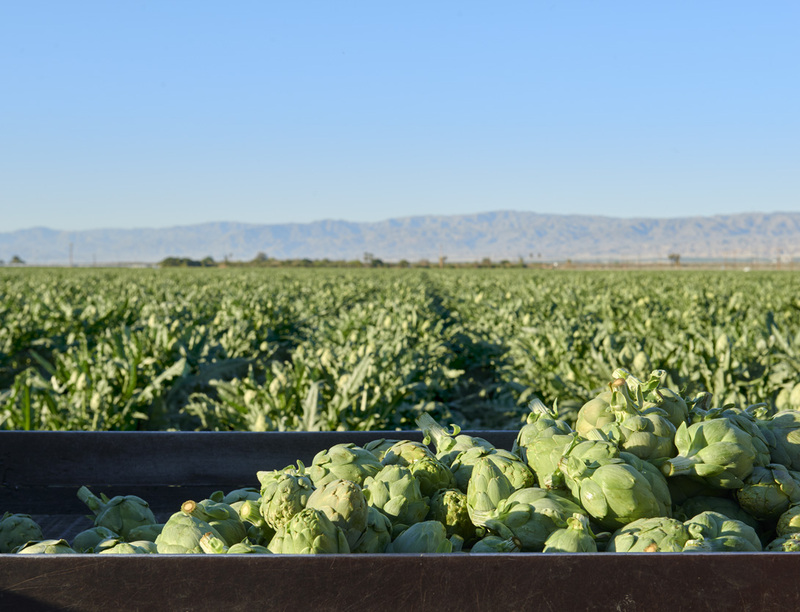 Our VP of Artichoke Production, Dale Huss, is showcasing our desert globe artichokes in Coachella, CA. Ocean Mist Farms is the premier artichoke grower in the country, so it's no wonder why we're able to successfully grow this unique thistle in the desert - one that many believe can only grow in cool coastal areas. 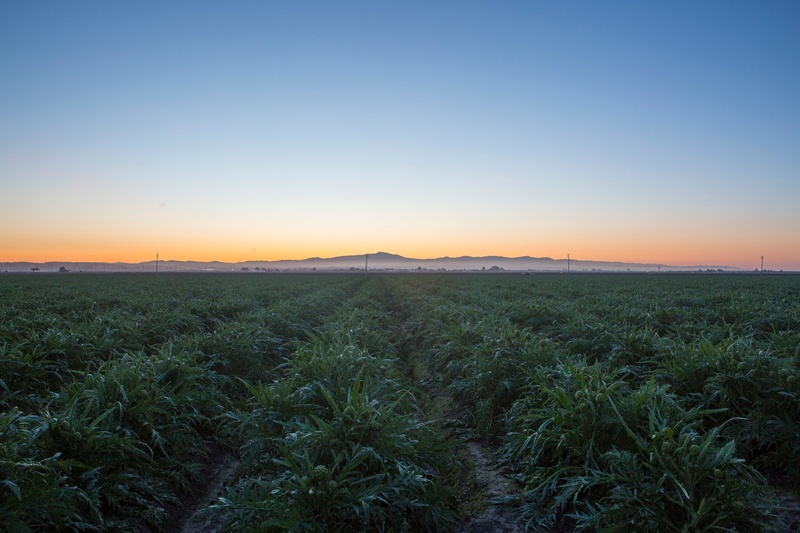 Ocean Mist Farms artichokes growing in Coachella, CA. 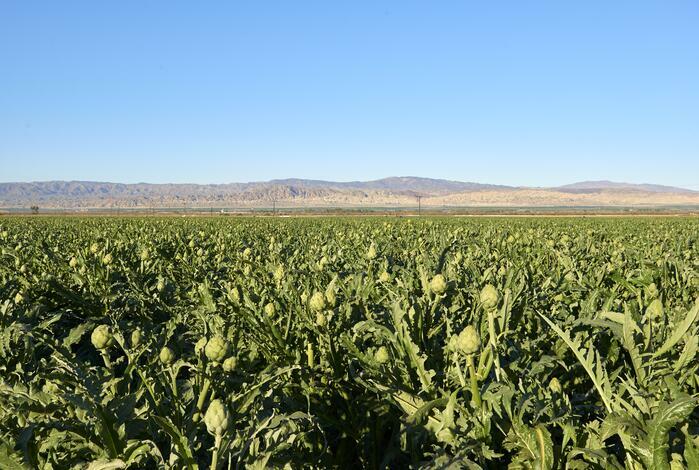 Our artichoke seed variety has been developed for the Coachella region. Sounds simple, right? That's not the case. 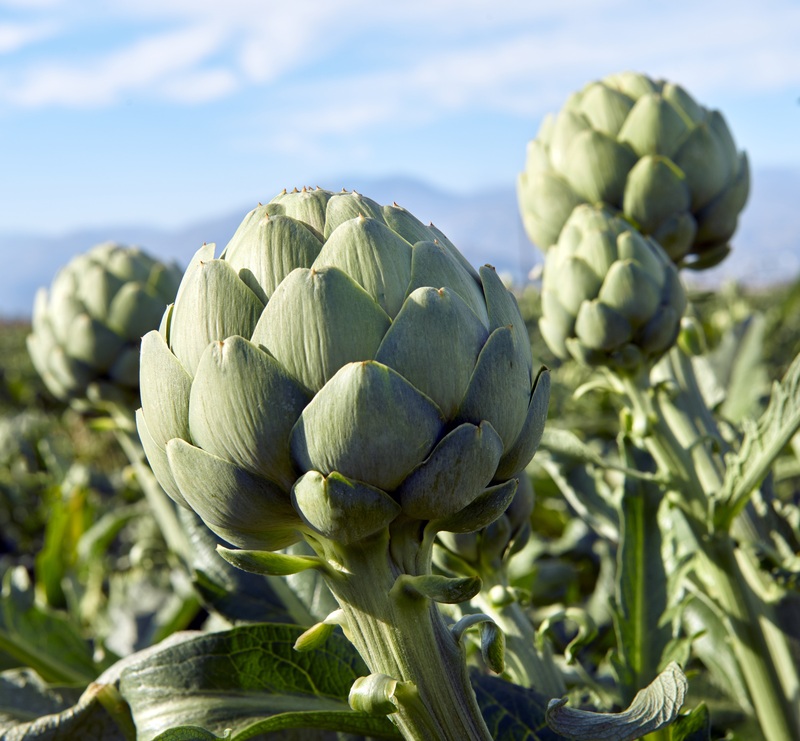 We have a sophisticated seed R&D program to ensure that we can grow artichokes year-round in all five of our growing regions. When developing the different seed varieties, we always ensure we maintain the same quality taste we've provided our customers for nearly 100 years. We've been developing our proprietary desert globe variety for the last 30 years! Our desert globe artichokes grow from seed in trays at a nursery. When they grow to 4-6" tall they are transplanted into the fields until artichoke harvest. 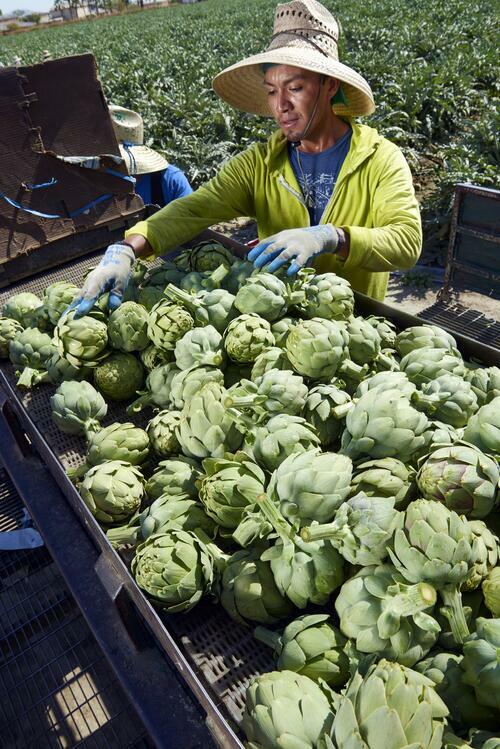 Our harvest teams are well trained and have years of experience harvesting artichokes. It’s not just picking an artichoke! 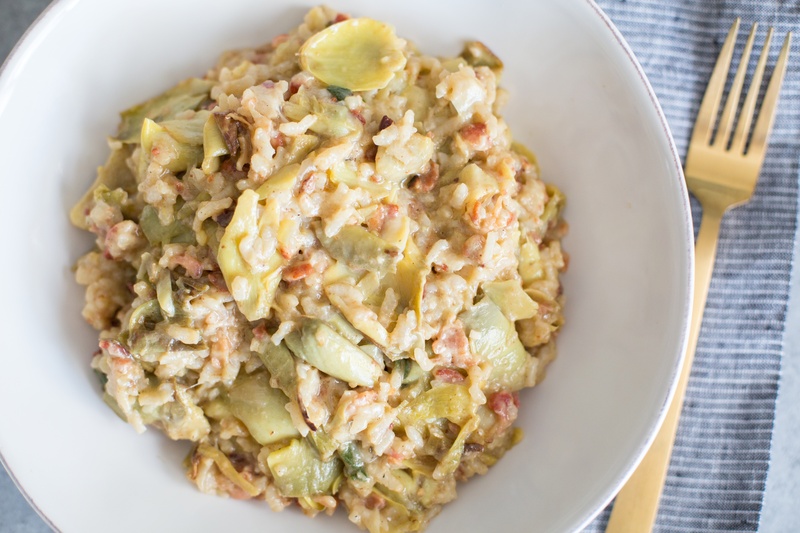 It’s really a matter of knowing when and how to pick the artichokes so they maintain their freshness and beauty as they travel to the grocery store or restaurant, and ultimately your plate! 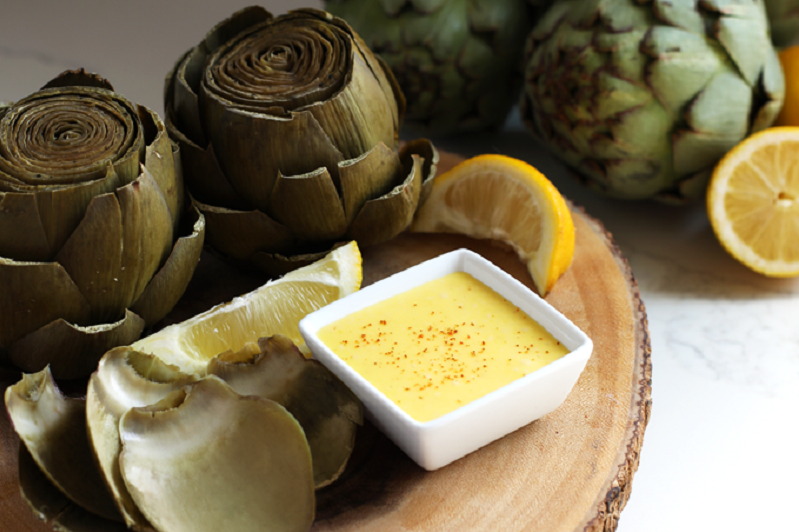 We have a streamlined artichoke production process to ensure our quality artichokes make it to your plate looking just as they did when they were harvested. 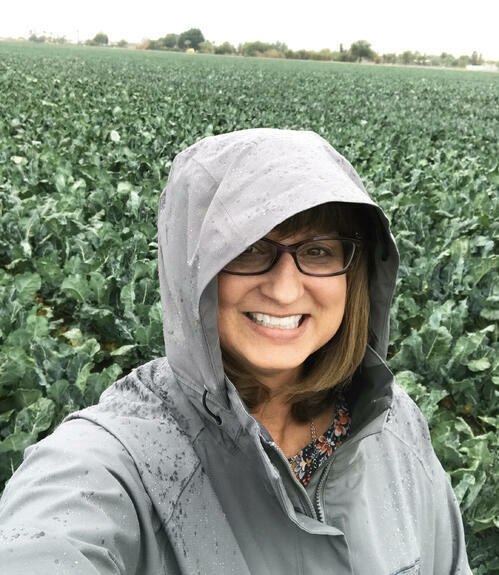 We have a dedicated and knowledgeable team of sales and marketing professionals working to bring our artichokes to you all 365 days of the year. We're talking artichokes every day on the phone with artichoke buyers from your grocery stores, with the field crews to understand specifics about the artichoke production for that particular day, developing easy, delicious recipes and ways for you to enjoy artichokes, creating cool promotion ideas to keep you excited about artichokes Marcelino Melo, the field foreman who oversees artichoke production, (left) works closely with Dale Huss (right) to ensure the operations in our growing regions run efficiently. 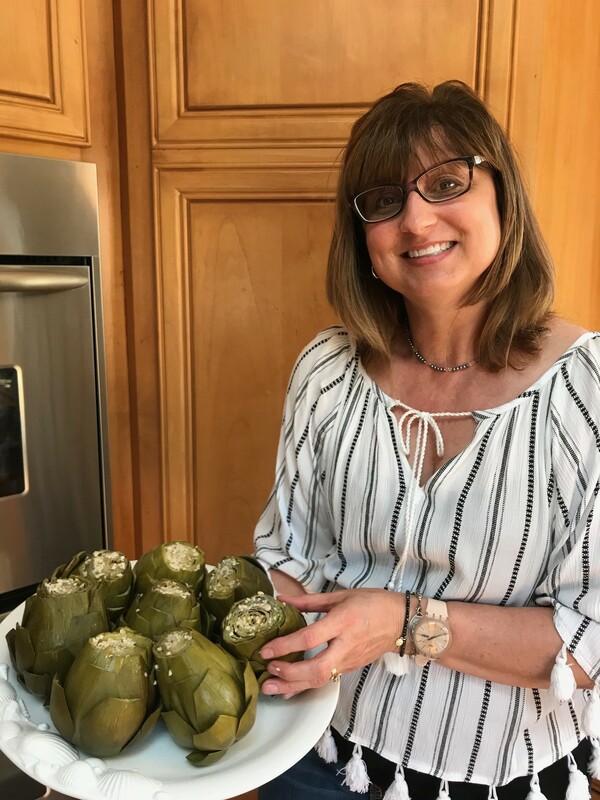 Growing up on California's central coast, I enjoyed delicious artichokes around the family dinner table and always on Christmas Eve! It is beyond perfection that I now market artichokes for a living and get to share the Ocean Mist Farms story and my love of all things fresh.